Written by Sylvia Allen. Quick and concise, this is a must for anyone selling sponsorships today. 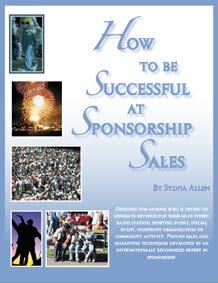 Contains 235 pages of proven tips and techniques from the recognized professionals in the field of sponsorship sales.